Tochigi Daily Photo: Are they still there? This is great! You can make a good story out of this one. 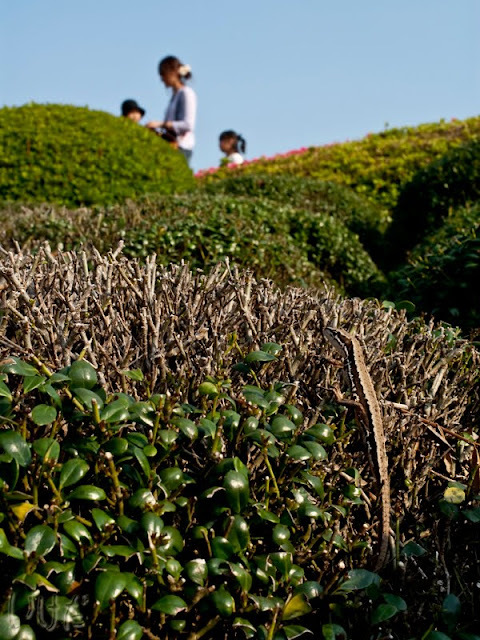 I only wish the lizard was a different color, this one blends too much with the bush. Yeah, I know it's nature and camouflage and all that, but still, a bright color lizard would make a much better shot.